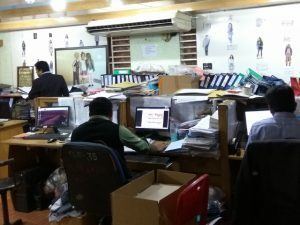 Organic Jeans Ltd.(Shin Shin Apparels Ltd. Unit-3) having two production floors each floor with an area of 1,10,742 square feet. The building is built on a land area of 27000 square feet, to accommodate current needs & future growth. The structural compliance of the building has been certified by number of foreign and local organizations including ACCORD. (inspection under process). We have 5 cut to pack RMG production plants. 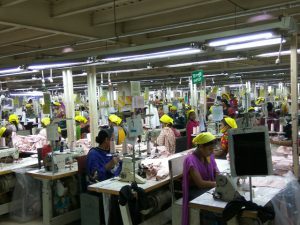 The sewing plants have over 4000 modern machines with total production capacity over 1.77 million pcs per month depending on the items and styling. Basically, we are woven garment manufacturer. We are proven and committed to achieving our clients’ business motto. 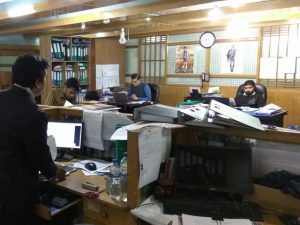 Jeans Plus Ltd. & Khalifa Apparels Ltd. The apparel industry has entered into an era of global trade, free of tariff and quota barriers. Shin Shin Group believes this will benefit consumers, providing them with increased choices, better prices and improved quality. The industry has matured and diversification has occurred. It is truly is global with raw materials produced in one region, weaving and finishing in another and sewing in yet another. House # 13, Sector # 12, Sonargon Janapath Road, Uttara Model Town, Dhaka-1230, Bangladesh. Address : Dag. RS # 228, JL # 73, Gorat, East Norshinghapur, Zirabo, Savar, Dhaka- 1341, Bangladesh. Address : Plot No. 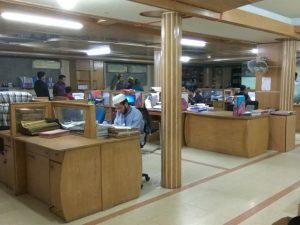 - 398, Sreepur Bus Stand, Ganak Bari, Savar, Dhaka-1341, Bangladesh. Copyright © 2019 SHIN SHIN GROUP. Powered by ICT Department.